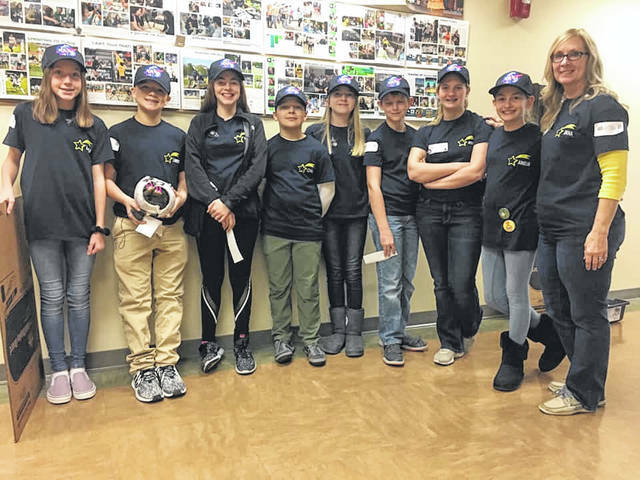 The Indian Lake Middle School Robo Geek Squad recently competed at the Regional Lego Robotics Meet in Dublin. The squad earned the trip by taking first place in the district competition held in December. Coach Jana Core said the team excelled in its three presentations, but its robot did not cooperate as hoped. The squad did not advance to the state competition. Core said this team will have much experience going into next season after all the growth she saw this year with her sixth and seventh graders. This year’s theme was NASA-related and required the robot to problem-solve in space. Members of the Robo Lego Geek Squad are Annie Braig, Czar Dickson, Cameron Freyhof, Meya Karbowiak, KaiLea Miller, Adeline Robinson, Amelia Schmiedebusch and Landen Wisener. Honda Transmission Manufacturing supports the Robotics program ILMS. The Robo Lego Geek Squad is mentored by HTM Engineer Joe Pietrykowski.